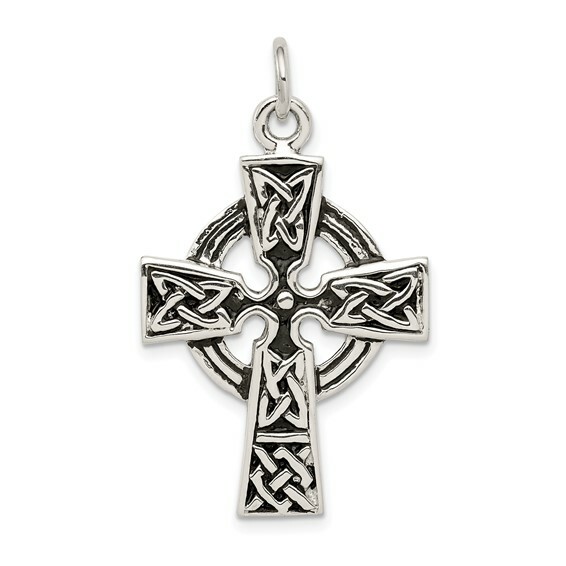 Sterling silver Celtic cross has a bold antiqued finish. Made in Italy. Measures 1 1/8 inch tall by 7/8 inch wide without bail. Originating in Ireland and taken to the Island of Iona by St. Columbia, the circle around the cross symbolizes eternal life. Weight: 6 grams.